The summer is all about having fun and enjoying the nice weather. There are so many activities to choose from that you always have something to do, even if you just choose to relax with a cold beer. Gifts can make anything more fun, including the summer, so this year, think of something great to buy your friends and family so that they can have fun. Going to the beach is one of the most popular activities during the summer. It is a chance to cool off and just relax. Seasonal gifts have to include beach items such as an umbrella, a couple of seats and maybe something for the water; anything from a new swimsuit to an inflatable beach ball. 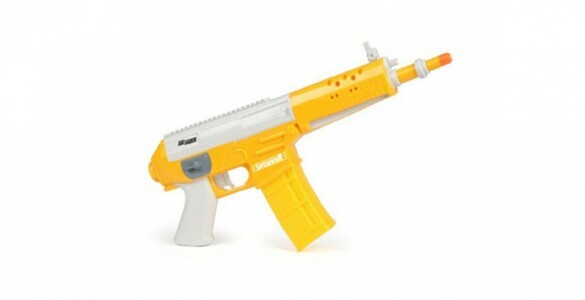 For the kids, maybe the best gift, would be a water pistol; it can be lots of fun and a great toy for the hot summer days. Since we are talking about keeping things cool in the hot summer days, there are quite a few interesting looking bottle coolers. For example, you can get a little t-shirt for your bottle, this is kept in the fridge for a few hours and it can be used to chill your beer to the right temperature; not to mention that it looks very funny. If you are all about the details, small seasonal gifts can be found in various forms. A pair of flip flop coasters will look great on the table or you can get a flip flop bottle opener. For when it is too hot, a solar hat will be the perfect gift. This is no ordinary hat because it has a small propeller in the front which is powered by a small solar panel on the top. This basically means that you can have cool air in your face wherever you go, perfect for the summer. Summer is all about the activities and a great gift would be to take someone on a fishing trip, camping, scuba diving or anything else you think of. A ride with a jet sky can also be very fun and it is a great gift idea for this summer.